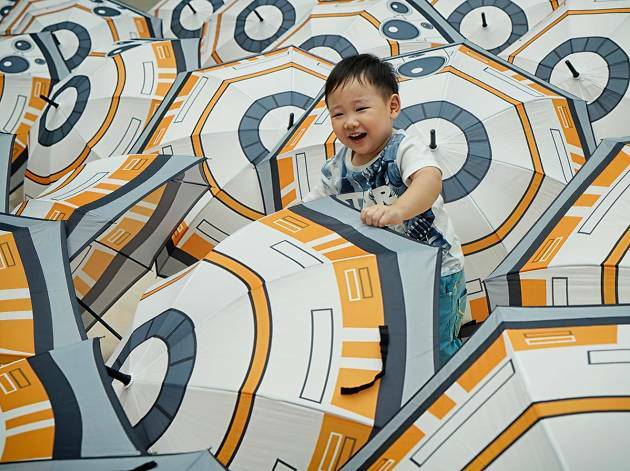 Spend at Kallang Wave Mall, SMRT shops and iMOBShop.sg before the end of December and you'll get to shield yourself this rainy season with the Star Wars BB-8 droid umbrella (minimum spend of $300). Or drink intergalactic water from the Star Wars Stormtrooper tumbler (minimum spend of $150). Alternatively, if you’re hard up on cash, just spend a minimum of $30 at the aforementioned retailers and you’ll get to walk home with more limited edition Star Wars premiums and collectibles. 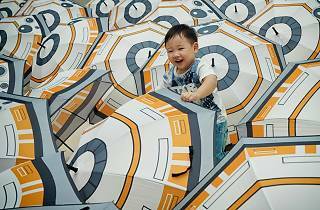 Your name will also be thrown into the running to win a five-day, four-night trip to Dubai for two to check out the Middle East Film and Comic Con 2016.